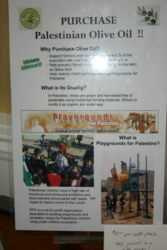 Our friend, Karen Kovalcik, held her annual olive oil fundraiser to benefit Playgrounds for Palestine on November 16th and 17th, 2006. 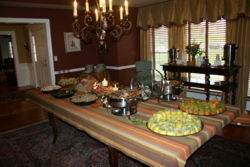 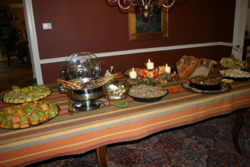 Once again, she prepared a spectacular party, with delicious Middle Eastern food and various wines at her beautiful Yardley home for nearly 100 guests. 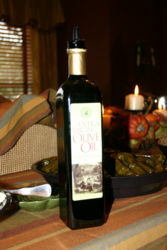 This year, Karen sold more than 15 cases of Palestinian olive oil (with orders for more), raising over $3000 for PfP. 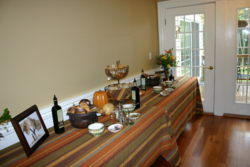 Thank you, Karen, and everyone who purchased olive oil that day!